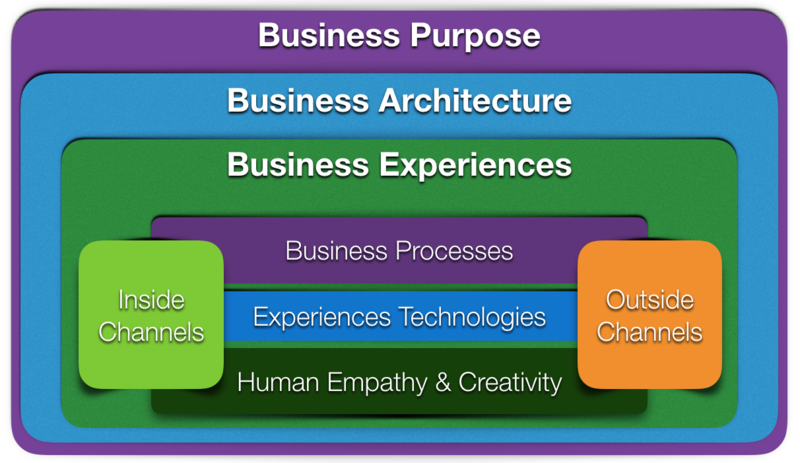 Business Experience Designers are hybrid business roles, which transit between traditional consulting and more creative environments. A BXD deals with data and systems integration, process management, digital solutions, multi-channel strategies, customer personas and also ambidextrous experiences (outside-in + inside-out). This business and digital acumen means that BXD teams are able to approach problems and solutions from multiple angles. The Business Experience Designer role is a strategic, cross-functional, credible and practical evolution for every professional role related to management and transformation of businesses, such as process and project management, customer relationship, service oriented technologies and business design. To help the development and growth of the Business Experience Designer as an important professional role, BXD ia© is gathering known professionals in a global effort to establish a formal and common ground. Our main objective towards this Key Competencies Model is to have a first full release by first quarter of 2020. If you have great knowledge and experience in one or more domains, areas or skills listed here, and if you think it is time to help this great business role to take the next step, please, let us know.